Playa Ocotal offers some of the best water activities. Playa Ocotal offers snorkeling, fishing, and scuba diving. Play Ocotal offers a healthy life style for those who are into yoga or just wanting to each healthier food. Buying a Home in Playa Ocotal can change your life. KRAIN Real Estate is locate in Playa Ocotal. Come Visit us today and change your life forever. Invest in your happiness and Costa Rica Real Estate. Playa Ocotal is the quieter, more tranquil neighbor of Playas del Coco. While Playas del Coco has a tendency to get overrun with tourists during the peak season, Ocotal Beach is rarely full and is a favorite of locals. You’ll find that when Playas del Coco becomes overloaded with visitors, natives and residents often seek refuge in Playa Ocotal. 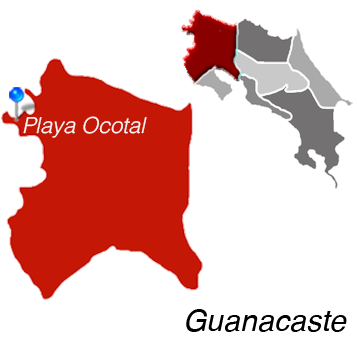 In fact, what makes Playa Ocotal so special is its low-key atmosphere. 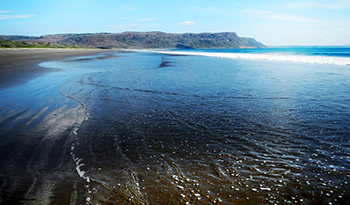 Beaches in the northern Guanacaste area are often star attractions for the rich and famous. Playa Ocotal offers something different with its small coast line, pristine sand, and soothing waters. Most visitors spend their time swimming, diving, fishing, and generally enjoying the natural beauty of Playa Ocotal. While the beaches are, of course, the main attraction, there are also some of the country’s best national parks in the nearby area. The closest two national parks are Santa Rosa and the Guanacaste National Park. Santa Rosa, the first national park of Costa Rica, is found about 20 miles away from Playa Ocotal. Not only do visitors come to see the expansive flora and fauna, but they also come for a piece of national history. The Santa Rosa National Park houses La Casona, a small building turned museum that housed William Walker and his mercenaries during the Battle of Santa Rosa. The Guanacaste National Park is around 50 miles from Ocotal but well worth the drive. This park is famous for its collection of forests, lowlands, exotic birds and animal species. With a bit of luck, you may spot both the coatis and howler monkey.